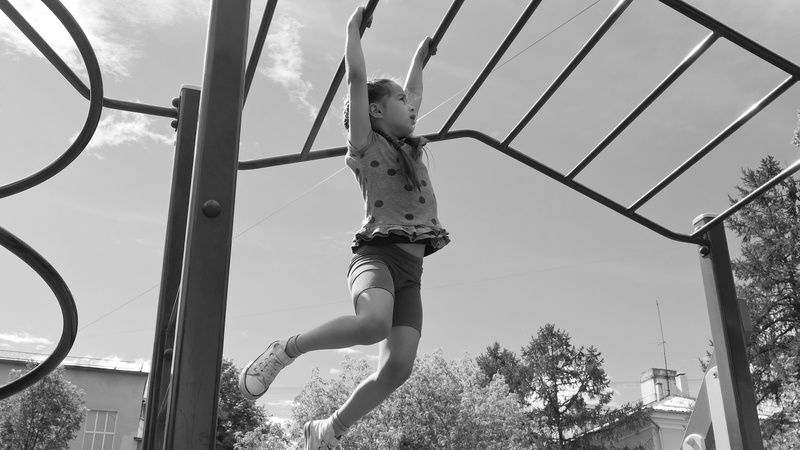 Making progress on the playground’s monkey bars is simple: grab a bar, let go of the one behind you, and swing to grab the next one. You can’t grab the next bar without letting go of what’s behind you. It’s just not possible to grab all the bars at the same time! The same is true of personal growth and transformation. You can’t move to the next thing without releasing what’s behind you. You can do anything, you just can’t do everything. And when you stop trying to do everything, you can really start making progress. The trick is to figure out what you want to grab and what you want to release. This is the stuff that serves you, stuff that’s good for you, and stuff you love. Things that serve you are are aligned with your principles (what you stand for), or are things that get you closer to a goal (that’s aligned with your principles). If it’s good for you, it’s healthy for you in some way, either mentally, physically, psychically, or some sort of combination of any of the three. I made time to write daily in a Gratitude Journal because I thought it would be good for my psyche, which it turned out to be. And if you love it, you love it. These things bring you joy. And you don’t always have to know why! You should have a clear reason for reaching out for whatever it is. And if you don’t have a clear reason, you should really think about whether it’s the right bar for you to grab. These are the things you should let go, because they’re either no longer serving you, they’re not good for you, or you simply don’t love them. This is typically the hardest sort of bar to release. It might be something that used to serve you well, but might not be aligned with who you are or what you stand for anymore. Or it might not represent what you want to be known for in the future. A client worked hard to minimize the time he was spending doing some specialty work that he’s great at so that he’d have more time for the creative work that lights him up. Difficult to do, but highly rewarding. These are things that either never were healthy, or they’ve morphed into unhealthiness, from a physical, mental, or psychical perspective. A friendship that’s turned toxic could be in this category, as could a habit that’s turned into an obsession. You know that saying about everything in moderation? That. This could be something that you used to love, but don’t anymore, or it could be something that never exactly fit with your tastes or principles. In order to make room in my consulting practice, I don’t take certain types of engagements — I want to make sure I have time to grab the kinds of assignments I really love to do, and if I’m booked with work that I don’t love, I won’t have the opportunity to do the work I love best. Remember, you can hang onto whatever you want to. But remember, too, that you can’t move forward on the monkey bars without releasing some things, too! How have you released things to move forward? Let us know in the comments below!